Materials: Brass, brass plated iron. 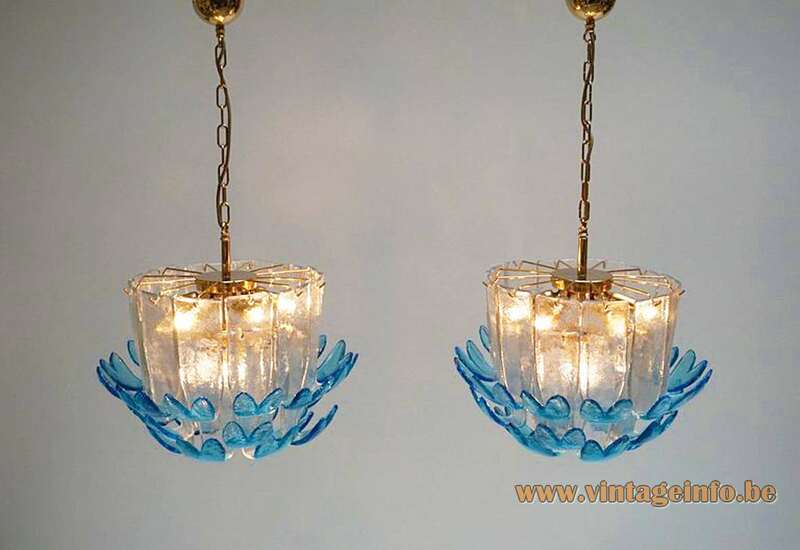 Blue and clear hand blown crystal glass. Designer: Alfredo Barbini (1912 – 2007). 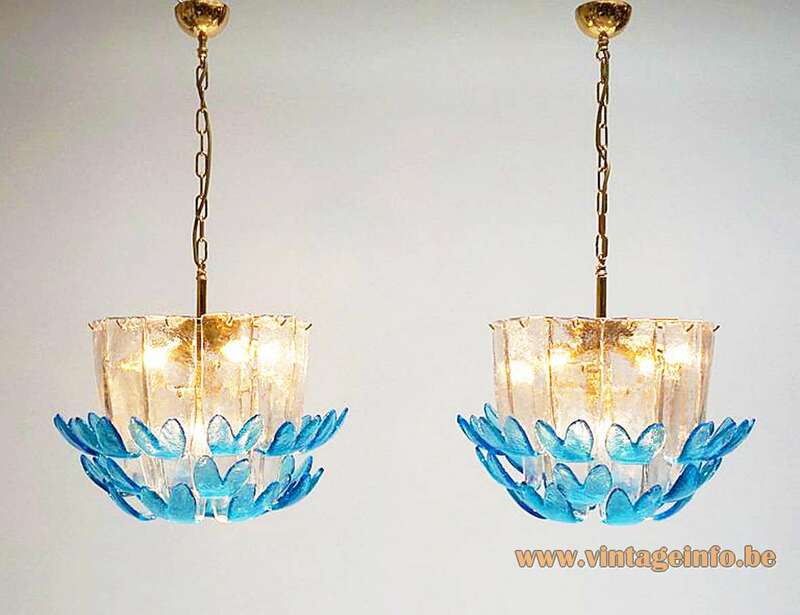 Manufacturer: Vetreria Alfredo Barbini, Murano, Italy. These chandeliers are heavy, they weigh 14 kg each (30.8 lb). 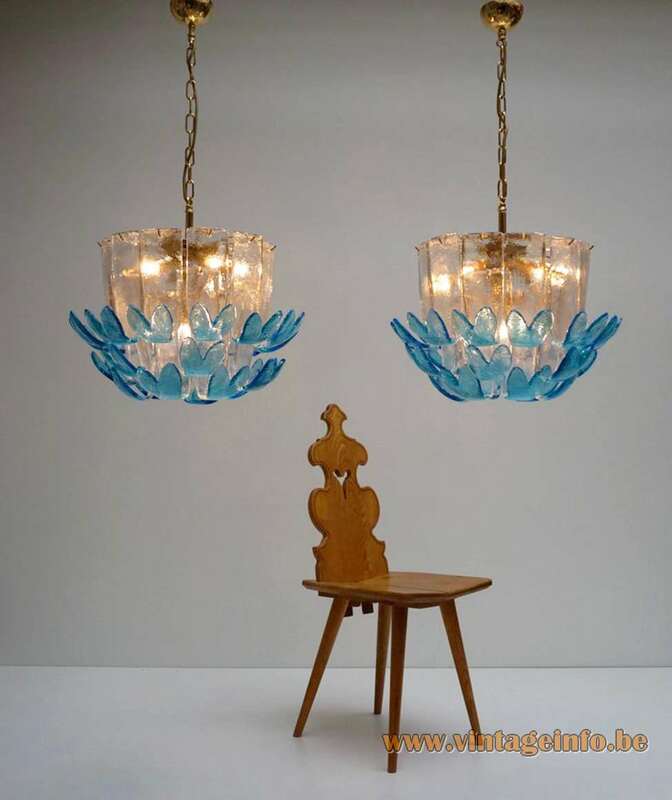 Alfredo Barbini started very early in the art of glass making. He took his first steps in 1922, aged ten, at Abate Zanetti. It is the design school attached to the Murano Glass museum on the Murano Island. 3 years later he already worked for the S.A.I.A.R. Ferro Toso & Co factory. 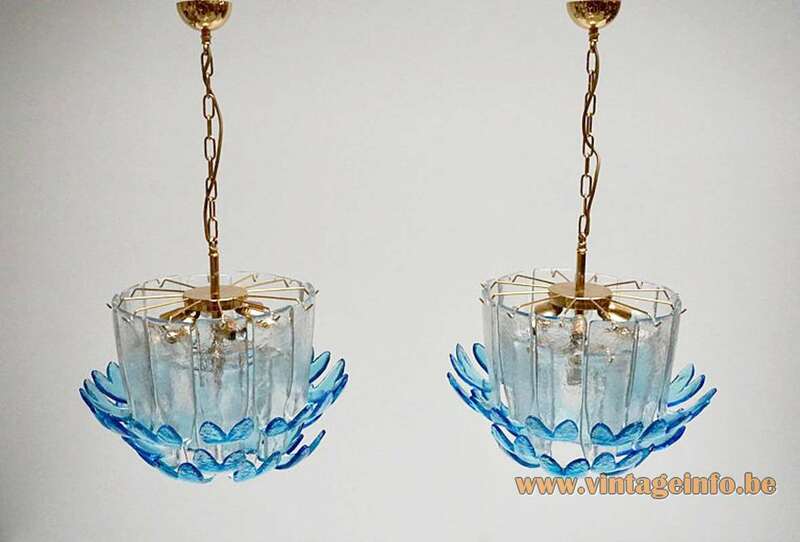 In 1929 he joined Cristalleria di Venezia e Murano as a master glassblower. In the years that followed he worked for Archimede Seguso and Napoleone Martinuzzi, the Seguso Vetri’dArte company and Vetri Artistici Muranesi Società per Azioni (V.A.M.S.A). V.A.M.S.A ended business in 1947, after he left. He also became a partner with Vetreria Vistosi. In 1946 he became a partner at Cenedese, the company of Gino Cenedese. He created numerous glass statues and the so-called Acquari; blocks of colorless glass that incorporated colorful elements of the previously formed marine flora and fauna. With Cenedese he participated in the Biennale di Venezia, the Venice Biennale of 1948. 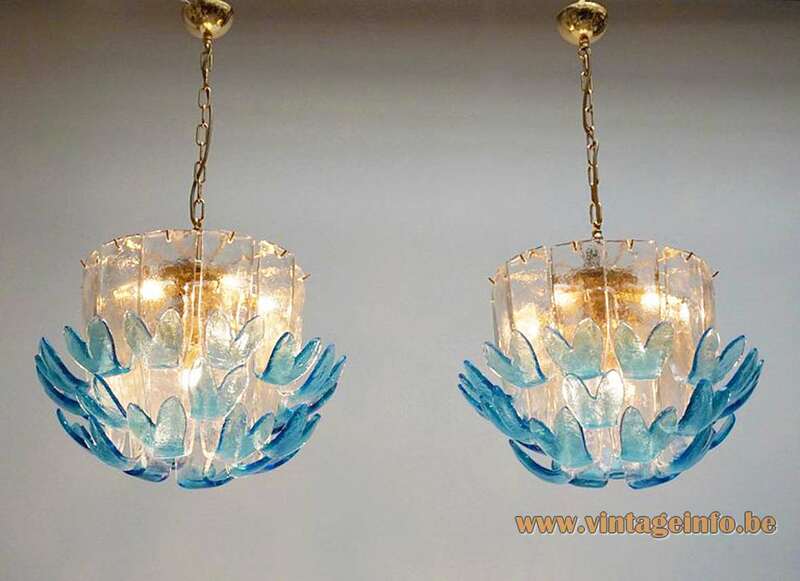 In 1950 he founded his own glass factory Vetreria Alfredo Barbini. 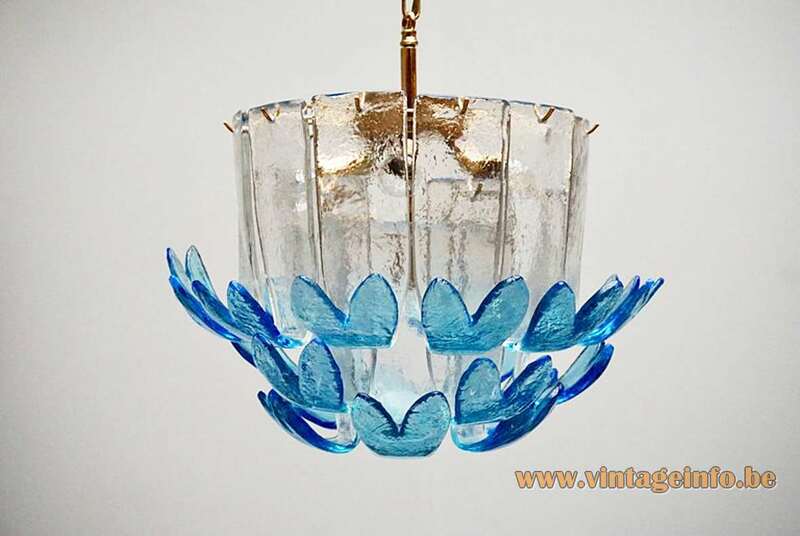 In 1952 Alfredo’s daughter Oceania Barbini-Moretti joined the glassworks. His son Flavio became a designer for the firm in 1968. Alfredo Barbini participated in the Venice Biennials of 1950, 1954, 1960, 1962 and 1968. After a reorganisation in 1983 the company’s name changed into Alfredo Barbini Srl. He died on February 13th 2007 at the age of 94 in Murano. The company was dissolved two years later.